Want to quickly see how the open-source software boastmachine works? 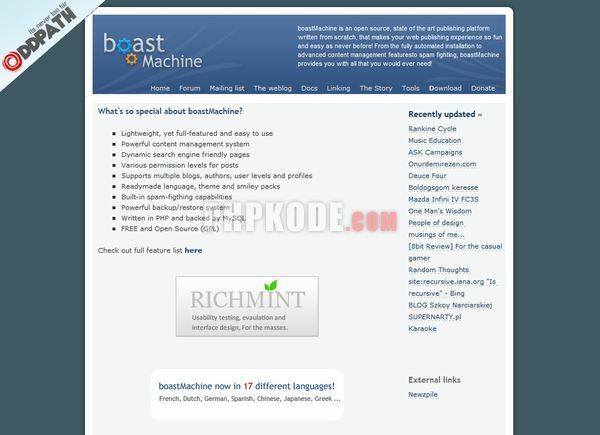 You'll find a free and updated demo installation of boastmachine here. We are currently updating the boastmachine demo. Please check back shortly. There will be a new version up soon. Boastmachine is a free open source blogging package developed in PHP that uses a MySQL backed. First released in 2002, it was one of the first blogging packages available on the web. The project is no longer being developed or maintained, so a demo site is not available at this time, but you can set up your own Boastmachine demo by downloading the files from Github and going through the installation process. Some examples of features include multiple blogs, authors, user levels and profiles, file manager, anti-spam protection and themes. Boastmachine can also be seen as a super light content management system with a powerful backup/restore system. The last version available for download is v3.1 and was released on June 5, 2005. 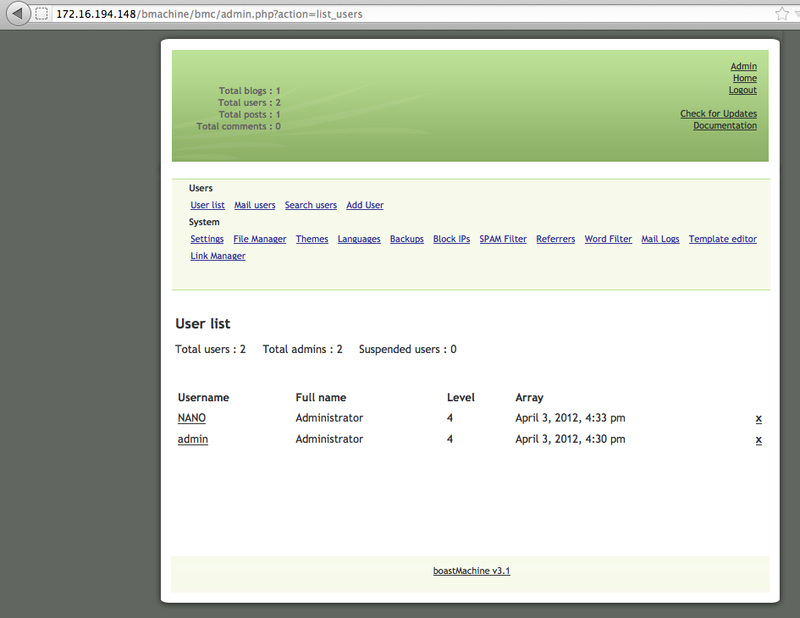 Boastmachine CMS is no longer active.